Kudzu powder can be added to herbal teas, alone or in combination with other herbs. Kudzu extracts may help curb the urge to drink alcohol, and the herb is a noted liver tonic. Kudzu relieves headaches caused by muscle tension. 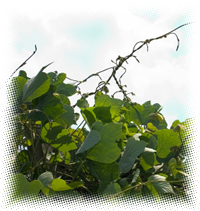 Kudzu extracts dilate coronary arteries, increasing blood flow and decreasing blood pressure.